Anxiety, depression, and many other psychiatric conditions are more prevalent in the recent times. Fortunately, medication is effective at treating these psychiatric conditions. However, there are natural ways of improving mental health, which are not only safe but also fun to engage. They include sewing and crafting. 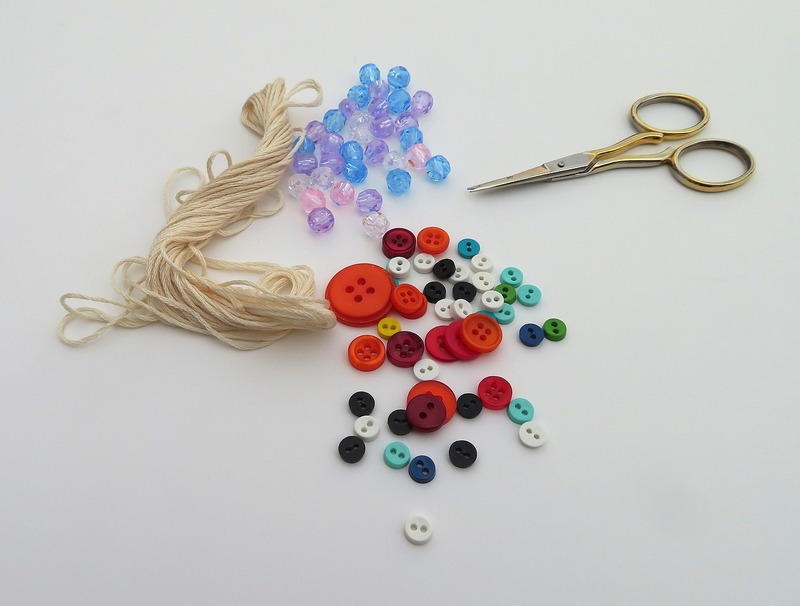 Let’s look at how sewing and crafting activities enhance your mental health. Creative activities are therapeutic because they make you shift from daily pressures to things you like. A work routine can be boring and stressful especially if you don’t like what you do, which is the case for many people. A supervisor or manager can as well have a foot on your neck all day; leaving you pressured and frustrated. The work you do could also be tedious. This justifies why most people long for weekends and holidays. Making time for sewing after work helps you to turn negative feelings and thoughts into something positive. The mind is involved in a creative process as you try to create an attractive and unique piece. Seeing the outcome of your crafting or sewing project is also fulfilling. Doing this regularly helps you to relax and forget the worries of this world. Craft activities as well can help to improve your mood. The other benefit of sewing and crafting is that they help to increase your self-esteem and confidence. Low self-confidence is a killer of dreams and social life. People who have low self-esteem find it difficult to interact with others because they feel that they are being looked down upon by their peers. The good thing about sewing or being involved with your craft is that you do not lose confidence because you create something that means a lot to you. Once you complete your small project, you feel accomplished, and that is how you boost self-confidence. You get a boost of self-esteem if you get involved in successful sewing and crafting tasks on a regular basis. Knitting and other crafts are fun activities. They not reduce unhappiness. Crafting makes you get lost in your own world; where it is just you and what you are creating. The creation process is usually interesting because you fall in love with the progress. According to an online survey, majority of knitters said that they feel happy knitting. Woodworking and sewing help to reduce stress and negative emotions by giving you an opportunity to create beautiful pieces of art. Woodworking is said to be a highly therapeutic form of art because it combines painting, planning, cutting, and strategizing. When you create unique pieces of art, people will appreciate your work which makes you feel excited and motivated to keep going. It sounds unbelievable, but bright colors can help to elevate your mood when crafting. Actually, there is a scientific explanation for this. Different colors evoke different moods for some individuals. There are those who feel anxious when surrounded by more than three colors. Others feel calm in an environment surrounded by white color. From a historical perspective, chromology (color therapy) was effective at improving moods. In the modern world, chromology is practiced in the form of light therapy. Color therapy has something to do with different ideas. The main concept is that people associate certain things with particular colors. For instance, fall is associated with warm colors. However, some colors only have short-term effects on mood. Sewing and crafting are multi-sensory. When crafting soft materials, the effect might be as calming as being massaged. When you get involved in crafting activities, there is no doubt that you will make new friends. If you are used to living alone and concentrating on your work only, you are prone to stress. Everyone needs people around them to share and enjoy life with. Crafting gives you an opportunity to meet strangers who become part of your support system. Meeting like-minded people is not only inspiring but also exciting. You may plan for workshops and other forms of meetings. This way, you process feelings, meet like-minded people and talk about developmental ideas. Such meetings are a great way of improving mental wellbeing because they block negative energy. The five sewing and crafting activities benefits are as a result of the release of dopamine and serotonin, which are the brain chemicals responsible for happy and relaxed feelings. Sewing and knitting regularly results in the frequent release of these chemicals. In addition, you can turn your craft to a business. Why not try these natural methods for improving mental health that also bring in some extra cash? Annabelle Carter Short is a writer, seamstress of more than 7 years and mother of two. In her free time, she likes to make DIY and crafty projects with her two children. Annabelle is also passionate about autism and she works with few organizations to provide families with the best resources for raising and educating a special needs childs.